In this article, we will learn about assertSame() static method which belongs to JUnit 5 org.junit.jupiter.api.Assertions Class. Note that in JUnit 5 all JUnit 4 assertion methods are moved to org.junit.jupiter.api.Assertions class. There are many overloaded version of assertSame() methods present in org.junit.jupiter.api.Assertions class. 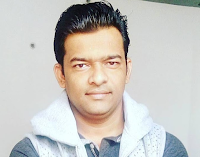 Let me list out tools and technologies that I have used to develop JUnit 5 assertSame Example. assertSame(Object expected, Object actual) method asserts that two objects refer to the same object. If they are not the same, an AssertionError without a message is thrown.